Recently, someone made the comment to me that they were bored with their usual breakfast fare. Here’s a alternative to bacon and eggs. The protein:fat:carb ratio is about 1:2:2 for these muffins, which is not bad – almost Zoneish if you’re into that sort of thing. These muffins keep well at room temperature or in the fridge. You can even freeze them for over two weeks and they maintain their flavor. I adapted this recipe from Elana Amsterdam’s The Gluten-Free Almond Flour Cookbook. This recipe will make one dozen cupcake sized muffins. Preheat the oven to 350F and line cupcake pans with cupcake liners (12 to be exact). Combine the dry ingredients in large bowl – flour, baking soda, salt, and spices. Add the oil, eggs, vanilla, agave nectar and applesauce. Mix on medium speed until ingredients are blended. Add the dates and pecans and mix until blended. 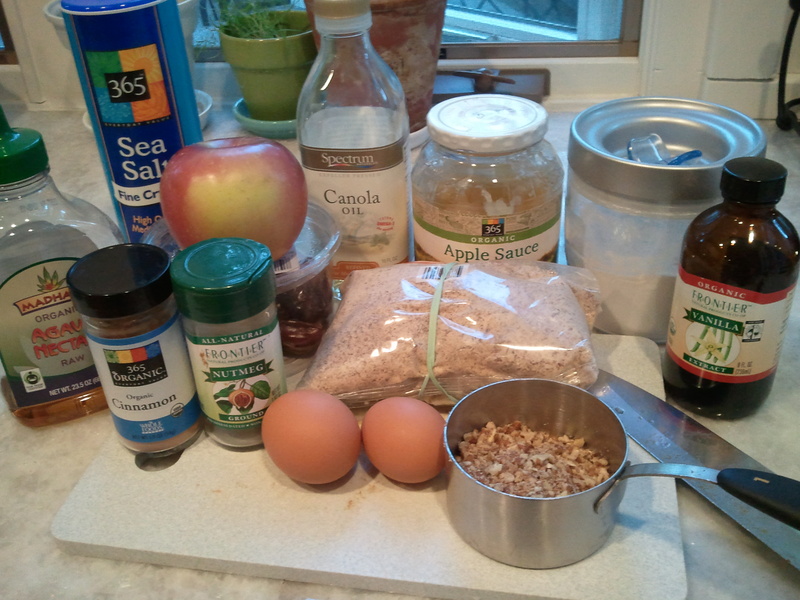 Finally, add the chopped apple and carefully mix (you want the apple slices to stay intact). Portion the batter into the cups – I use the 1/3 cup, it fills the cups almost perfectly. You want the cups to be filled beyond the top of the pan, but not spilling out of the cups. 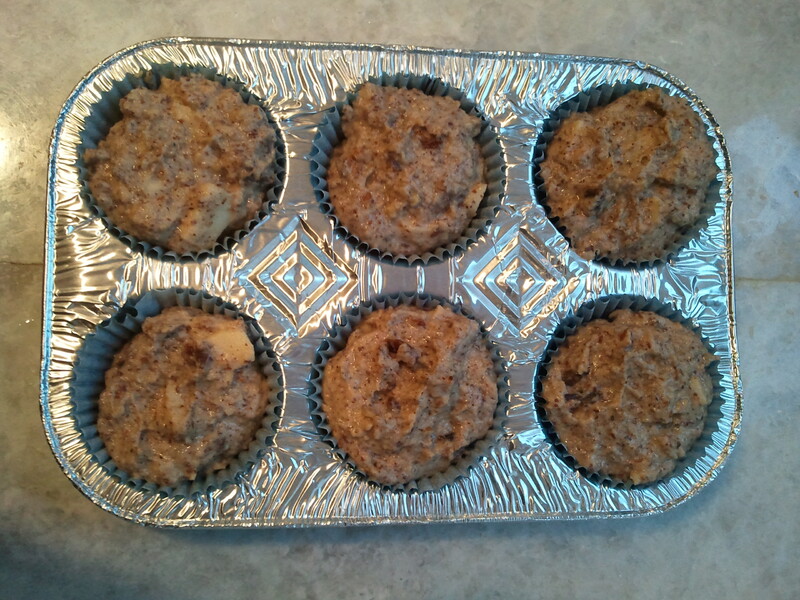 Bake the muffins for about 30-35 minutes, or until a toothpick comes out clean when inserted into the center of a muffin. Cool the muffins on a rack for at least 30 minutes. This is important for the muffins to set. 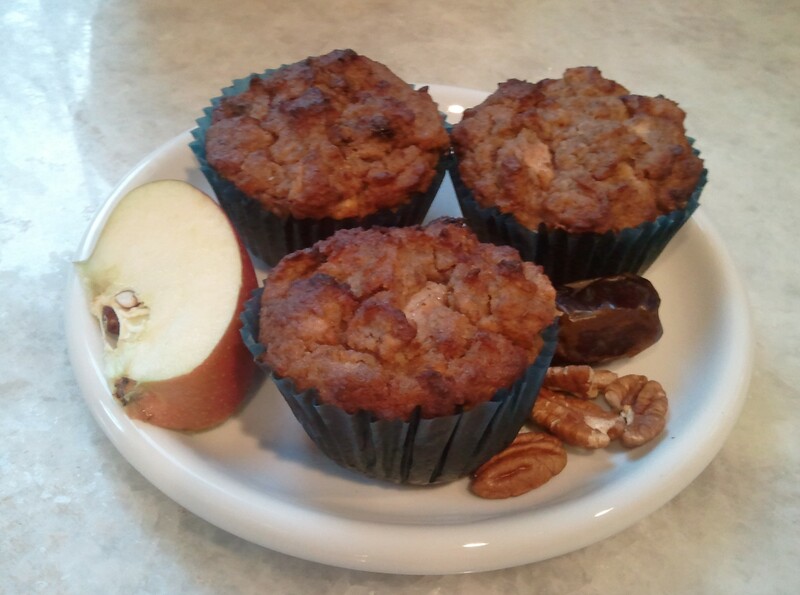 This entry was posted in baked good, breakfast and tagged apple, date, muffin, pecan. Bookmark the permalink.